I don't remember now how and when exactly we decided to spend our four days off between Antwerp and Dijon in Saint-Romain but the main idea behing this decision was tasting wine. After leaving Antwerp in the morning via train we arrived Paris at afternoon, transferred there to Dijon where we changed to another train to Beaune and finally took a cab to Saint-Romain to our beautiful bed and breakfast Domain Corgette. I have to say that the whole trip was tiring, stressful and needless to say very very long but the reward at the end was literally priceless. After we put our luggages in our room we took a short walk around the village. The sun was settling down and the sight was breathtaking. It was quite and peaceful. I was getting restless for our wine tasting tour the day after. Lynne picked us up from our place early in the morning to meet with the rest of the group. I was pretty excited about the day but it was hard to leave the breakfast table. I think that communal breakfast table was the best part of our stay. I could spend my entire day there tasting jam after jam. Anyway Lynne and her husband David are from England, living in Burgundy and organizing wine tasting tours for nine years for small sized groups of english speaking wine enthusiasts. The day started in a vineyard after meeting other four people on tour with a short introduction to the region Cotes de Beaune and it's vineyards. 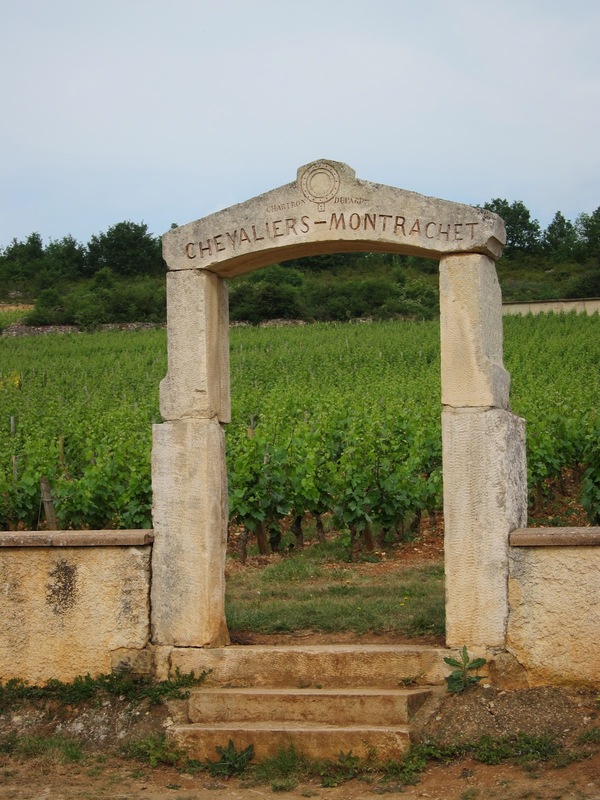 We got familiar with the Burgundy wine labels and terms, with region's grape varieties, soil characteristics and with regional vine growing and harvesting techniques. During our tour we visited three different estates in Meursault, Monthelie and Remigny, tasting 26 different expressions in total with a nice lunch break at the restaurant Le Relais de la Diligence. I ended up with pages long of tasting notes from each expression tasted which helped a little bit to be able to choose a bottle to purchase at the end of the day when we stopped by at a local wine shop in Meursault. I am still working on tidying up my tasting notes to create a list of my favorite wines of the region as a separate blog post. The day was absolutely amazing and very satisfying. I learned a lot and tasted amazing wines. If you have an idea of planning a wine tour in Burgundy you shouldn't think twice. Just let Lynne and David take care of it. 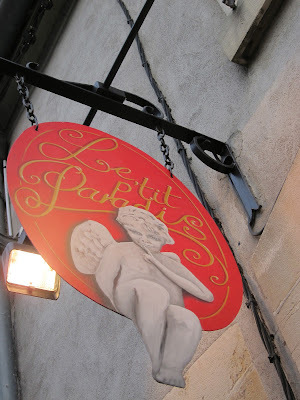 We used our last piece of strength remaining to shop groceries in Beaune for our dinner we planned on the terrace of our B&B before we collapsed totally exhausted in our rooms. For three days we had amazing food, tasted incredible wines. Our B&B was great and I really appreciated our isolation although I resisted at the beginning against it quite a lot. It was so nice to slow down and adapt ourselves to the pace of the Burgundy life during our stay. When we were packing in the morning to leave Saint-Romain to Dijon I was aware that I will be missing this feeling pretty soon.